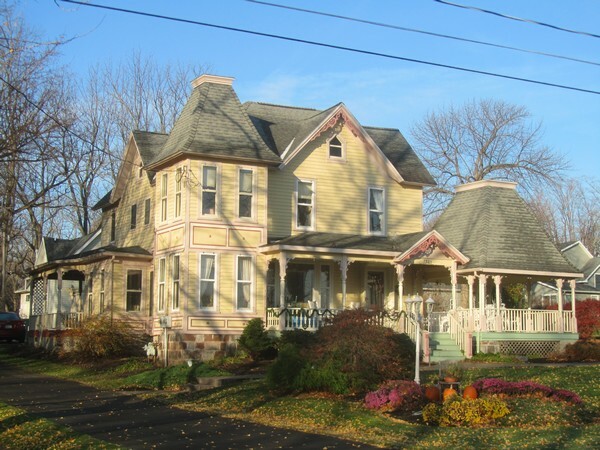 This grand old Victorian – style house was built in the 1800’s. It went by a few different names, one of which was the Lake Crest House. From this old photo , taken in the early 1900’s you can see the narrow little dirt road with horse-drawn carriage coming around the corner here. Remember the old Lighthouse set back a bit on the East side and there were quite a few other houses here then and we are quite sure that the land , the bluff , went out further. 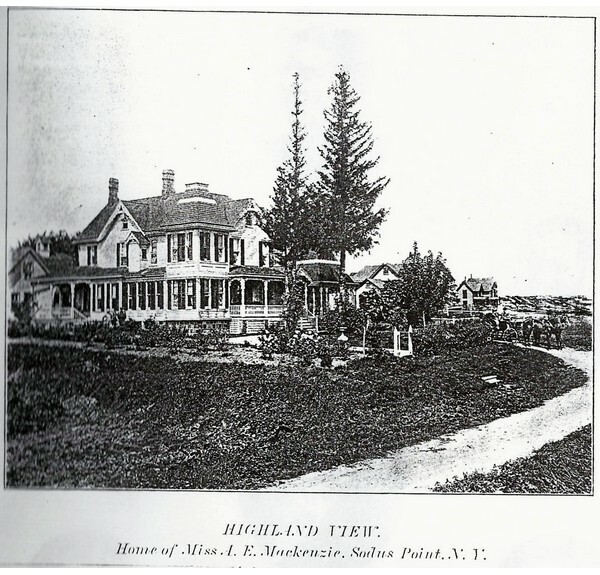 In 1901, this was the home of Miss A. E. MacKenzie. So now it was often referred to as the MacKenzie House. 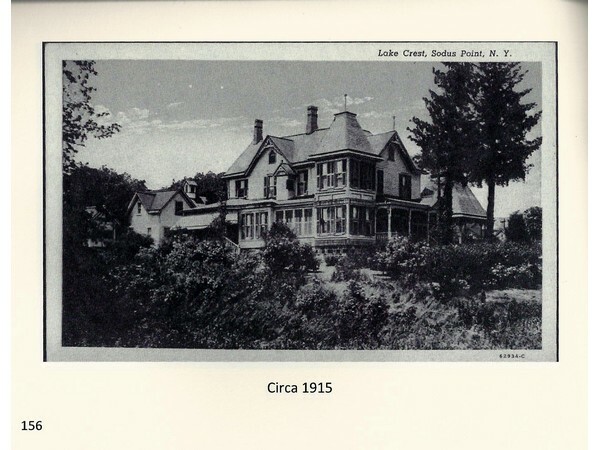 Lake Crest was the estate of Anne Elizabeth MacKenzie (1822-1904). Anne’s brother John T. MacKenzie donated to the Presbyterian mission. She was heir to his great fortune. Following her brother’s example, Anne bequeathed her home to the Presbyterian Church Foreign Mission as an education center for returning missionaries. With all close relatives deceased, Anne’s cousins contested her will, challenging that she was not of her right mind. Her brief obituary in the Arcadian Weekly Gazette on November 20, 1904, convey that “she was a very eccentric character, possessed of considerable means.” One of Anne’s peculiarities was that she owned a parrot that said naughty words. After nearly six years of appellate court proceedings, the final verdict in 1910 ruled in favor of the Presbyterian Church. Around 1934, Lake Crest became a popular dinner and picnic site for large groups and a guesthouse for private individuals; it was managed by the DoVille family. In 1919, we know it was an establishment run by another lady by the name of Julia A. Nicholoy. She was the proprietor of this one over-looking the Lake and another in Rochester called “The Fitzhugh” on S. Fitzhugh St. She offered board and rooms by the day or week. Christopher Reeves meets another MacKensie (Elise Mackensie) from the movie Somewhere in Time. I know, it has nothing to do with this and takes place on Mackinac Island but the setting is similar and its one of my all time favorite movie scenes!